Finally we get a "complete" soundboard recording from 1977 on the FTD label. Before the labels birth at the end of 1990's it looked almost impossible to be fortunate enough to be treated with these recordings, except for a few great bootleg releases. Through the years several of the 10 shows Elvis held in February 1977 have been released, either in great soundboard sound or in acceptable audience recording. First out was Moody Blue And Other Great Performances by Fort Baxter. This features that last show on the tour and the second show in Charlotte. Later a great offer from Southern Style featured both the show in West Palm Beach and Montgomery in crystal clear sound (Coming On Strong)! Luckily FTD decided to release a concert not previously made available by bootleggers. What we get on "Unchained Melody" is the first show in Charlotte, February 20 1977. Kudos for that! The sound quality is very good also here. I wonder if FTD deliberately has decided to release the show in mono, instead of stereo (binaural), to reduce some hiss? I believe most of these soundboard tapes are in binaural, as other releases have suggested so. Unfortunately the tape starts first at 'Love Me' omitting 'Also Sprach Zarathustra', 'See See Rider' and 'I Got A Woman/Amen'. I find it quite difficult to get the real concert feeling without these opening numbers. In addition I have a liking for versions of 'See See Rider' performed in 1977! But what isn't recorded isn't recorded... 'Love Me' is a typical version for this time in Elvis career. Neither good, nor bad. Just a song go get on with the show. Next is 'Fairytale'. A quite good version, even though Elvis slightly loses the timing at the end. After this, standard versions of 'You Gave Me A Mountain', 'Jailhouse Rock' and 'Little Sister' among others are accomplished. It takes a song like 'My Way' to raise the quality again. Elvis delivers a good version, just like normal! He then calls out for Moody Blue, which is announced as his latest record. After a false start - Elvis never even tried to sing - he abandons it, choosing 'How Great Thou Art' instead. An ok version, but nothing more in my view. Elvis then really puts his effort into a splendid reprise ending of 'Hurt', much like the same as he gave in Hollywood on his tour opener a good week earlier. After 'Hound Dog' Elvis announces that this show is recorded live and because of this he would like to sing 'Unchained Melody'. A good version follows, though it sounds even better on the audience recording! In general this first concert in Charlotte is fair. Elvis struggled with his voice on all shows in February 1977. Both he and band members had a cold and "icicles in the throat". This affects Elvis' vocal delivery quite much. Combining this with a dry soundboard recording makes it even less "moisturizing". Perhaps Elvis' own words after a false start to 'Unchained Melody' would fit as a description of the sound; "..it sounds awfully dry fellows..."
Tagged on to the end are several songs from other shows. First out is the second - this time successful - attempt on 'Moody Blue'. Successful in the meaning that Elvis completes the song. It is not a good version, but it would be the only one he ever did. Next is a charming version of 'Blueberry Hill', where Elvis teach Tony Brown how to start the song in right key. The day before Elvis had to sing the song in a way too high key, because of Browns inability to hit the right one. A very good version of 'Love Letters' is next. The tempo is right and Elvis hits the mood right away! Elvis only one time performed 'Where No One Stands Alone' on stage. Luckily it is available in soundboard quality. Previously released as early as 1995 on a bootleg, the song this time comes with quite annoying sound errors. Where did that come from? It doesn't sound like a Reidel effort, actually more like a tape fault. I wonder if bootleggers have the original tape and BMG only a copy? Next is two numbers from Columbia, February 18. These have never been done available from a soundboard source before. Elvis first sings a - well... - typical 1977 version of 'Release Me'. He didn't do this song often in 1977, but they all sounds the same. The tempo is slow and the overall feel is more like a country song than for instance his 1970 versions! After some references to Pink Panther Elvis then sings a good version of 'Trying To Get To You'. 'Reconsider Baby' is a damn good delivery and a very welcomed addition to the CD. It all ends with a not so successful attempt at 'Why Me, Lord?' where Tony Brown once again fails to hit the right key. Elvis has to correct him in the middle of the song. 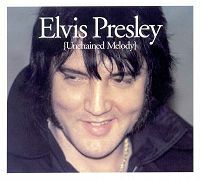 Unchained Melody is recommended for the Elvis fan, eh... which FTD is aimed at anyway.